NELSON MANDELA has made "dramatic progress" and may be going home "any time soon" his daughter said as the former South African president celebrates his 95th birthday today. "I visited him and he was watching television with headphones," Zindzi Mandela told Sky TV yesterday. "He gave us a huge smile and raised his hand ... He responds with his eyes and his hands." Mr Mandela is gaining "energy and strength", she said. "I should think he will be going home any time soon." The latest description by Zindzi - one of Mr Mandela's daughters by his second wife Winnie Madikizela-Mandela - is a significant improvement from court documents filed by the family earlier this month which said he was on life support and near death. Mr Mandela has been in a Pretoria hospital since June 8 and officials say his condition is critical, but stable. 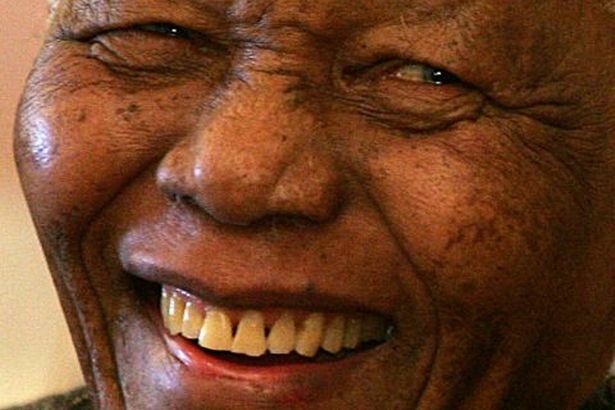 The news of the improvement in Mr Mandela's health will boost his supporters in South Africa and around the world who are celebrating his 95th birthday today, a day declared by the United Nations as a way to recognise the Nobel Prize winner's contribution to reconciliation. Meanwhile US president Barack Obama and his wife Michelle sent their wishes and prayers to Mr Mandela and said the world could honour him by heeding his example and serving others. The couple met Mr Mandela's family last month while in South Africa and visited Robben Island, where the anti-apartheid figure spent 18 years as a political prisoner. The Obamas said they were deeply moved by the visit to the prison and Mr Mandela's commitment to equality, dignity and reconciliation should be a beacon for future generations.